They’re going to be fine. Seriously, everyone chill out. [Frank] Aguilar said some of his Democratic colleagues may not have a lot of judicial experience, but most have had long careers as lawyers and have the experience they need to improve the system. That sentiment has been a constant among the new Democrat judges. In the days after the election, Dedra Davis, who was elected to civil bench, said the new judges would be using a “wheel” to appoint attorneys at random instead of continuing a system of judges appointing a small roster of attorneys they know. In the days after the election, attorneys who had been elevated to the bench were busy winding up their practices while judges who lost were looking at their options. Josh Hill, a newly elected Democrat criminal court judge, said there is a learning curve in any new job. He expects some “hiccups and speedbumps” around the courts, but said he and the other new judges are fair and will work hard to improve the system. Hill noted that some of the departing judges came to work late and did not seem to be diligent about getting things done with their dockets. He said practical experience and a strong work ethic are more important than the belief that judges are somehow “better” qualified just because they’ve been on the bench longer. JoAnne Musick , felony division chief at the Harris County District Attorney’s Office, said new judges are elected every other year and they all seem to learn the job. “It takes them four to six weeks to get their feet wet and then they’re off and running,” she said. Many criminal defense attorneys agreed. Yeah, pretty much. I know it’s de rigeur to dump on the system we have of partisan judicial elections, and for sure there are some departing judges who would have been fine to keep on the bench. But let’s be honest, appointment systems will pick some duds, too. Every company that has ever hired an employee has hired people who just didn’t work out for one reason or another. Maybe an appointment system, if properly built and maintained, would do a better job of picking winners than the system we have now. But all those good judges whose loss everyone is now lamenting were chosen by this same partisan election system we have. It’s not like nobody good got elected. And hey, guess what: The Legislature is about to be in session. Everyone who believes the system we have for electing judges is terrible is welcomed and encouraged to lobby their legislators to design and implement something better. Come up with a plan, get a legislator to sponsor it, and go from there. There’s never been a better time to turn complaints into action. And if six months from now we make it to sine die without such a bill appearing on anyone’s radar, I’ll know how serious the complainers were about their grievances. This one is short and sweet, and really could have been the entry level way of looking at the question “who is more likely to lose voters down the ballot when straight ticket voting is gone, Dems or Republicans?” We agree that there are a ton of judicial elections on the Harris County ballot. It’s more in the off years than the Presidential years, and this year there were 67 such races, including the 1st and 14th Courts of Appeals, but not including the statewide positions and the JP races. These are the races where we’d expect those fabled “fatigued” voters to give up and skip to the “cast ballot” button, thus leaving some candidates out in the cold. What actually happened this year, with this ridiculously long ballot? Again, I think the data is a bit mixed, and we don’t really know how the people who have been voting straight tickets will behave once that’s not an option. My point continues to be that it’s ridiculous and unsupported by the data to make assertions about what will happen once this change is implemented. Among other things, voters (and parties and candidates) have two years to absorb the idea of the change and to make adjustments for it. 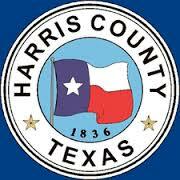 Here in Harris County, as in some other bigger counties, we can now take steps to ensure that the longer time it takes to complete a ballot will not lead to longer lines and voter frustration, so that may help mitigate the more unsavory parts of this change. It may well be when all is said and done and we have some more elections under our belt that Dems do see more dropoff in their races. I don’t think that will happen, or if it does that it will be a significant effect, but it could. Whatever does happen, let’s remember what was said before anyone could know for sure. HDs 133, 134, and 148 are the outliers, otherwise each district is in a band between 74 and 84%. For what it’s worth, HDs 134 and 148 were the two best State Rep districts for Gary Johnson in 2016; HD133 was fourth best, also trailing HD129, but nearly a point behind the top two. HDs 1334 was also the best district for Evan McMullin and tied for best for all write ins, while 134, 133, and 148 were numbers 1, 2, and 4 respectively for most undervotes for President in 2016. That all makes sense in context. One other point to note here is one that reinforces the point I made before about the decline of the Republican Party in Harris County. The Democratic districts are very strongly Democratic. The Republican presence in them is tiny. The Republican districts, on the other hand, sure seem to have a decent number of Democrats in them; in the cases of HDs 132 and 135, more than the number of Republicans. This is very much a function of where the population growth is in Harris County, and as that population has increased, so has the Democratic share of that district, and the county as a whole. The Republicans’ problem in Harris County was and is too many Democrats. Straight ticket voting didn’t help them, but then nothing was going to help them. They have themselves, and their continued embrace of Trump and Trumpism, to blame. Author Mary Flood is a friend and a person of wisdom, but I do not agree with her proposal. I’ve addressed this a bunch of times, and my position hasn’t changed. Making judicial elections non-partisan removes information from voters, while incentivizing groups with a direct stake in the outcome of these elections, from plaintiffs’ lawyers to bail bondspeople to evildoers like Empower Texans to influence the vote, by which I mean “spend a lot more money than they do now to get judges they like elected”. You may say that it would be all right if the less-informed voters choose not to vote in these elections. I will say that encouraging people to not vote doesn’t sound like democracy to me. If we must get rid of partisan elections, the only option that makes sense to me is an appointment system. If we’re going to go down that road, we’d damn well better engineer it in a way that doesn’t grant an excessive amount of power to any individuals or groups, does promote merit and diversity, and still allows for a way to oust someone who becomes a problem. I get that there are problems with the system we have. I’m sorry that some good judges will leave the bench, even as I voted against them. But until those who have been airing their complaints about this system come forward with a better one, I will continue to oppose any changes. Straight-ticket voting will end before the 2020 elections, bringing Texas into line with the vast majority of states. But the change didn’t come early enough to save Emmett — or a host of other down-ballot Republican candidates like judges, who are disproportionately affected by the practice by virtue of their low profiles and low ballot placement. Republicans — who lost numerous down-ballot officials, a dozen state House members and scores of judges, particularly in big cities — in some ways brought those losses upon themselves: The law that ended straight-ticket voting was written and approved by GOP lawmakers. It was originally set to go into effect before this year’s elections, but was at the last minute delayed until 2020. If the top culprit for down-ballot Republican losses last week is a certain El Paso Democrat credited with drawing flocks of new voters to the polls, the second spot might go to straight-ticket voting. Yes, the argument goes, a lot of new Democrats came to the polls to cast their ballots for U.S. Rep. Beto O’Rourke in his campaign for U.S. Senate. In the process, many voted for other Democrats down the ballot who they knew little or nothing about. But without the one-punch option, GOP operatives argue, many of those voters would have walked out before dooming Republicans at the bottom of the ballot. Straight-party voting “is the story” of this year’s election, said Dallas County GOP Chair Missy Shorey, whose county saw a rout of local Republicans. Among the casualties: 12 members of the Texas House, many of them in the Dallas area; two state senators representing North Texas districts; down-ballot county officials in a host of purpling regions; and nearly two dozen Republican judges on state appeals courts. After the 2020 elections, when straight-ticket voting ends, candidates will still appear beside their party affiliations, but most strategists expect fewer voters will make it all the way down to the local races. It’s hard to say what the statewide impact of that will be — many Republicans straight-ticket vote, too, and voters can still choose to select all the candidates in their chosen party manually — but in the wake of a tough election for down-ballot Republicans, especially on the fringes of the state’s biggest cities, some are wishing the option had ended in 2018. At first, that was the plan. Republican state Rep. Ron Simmons’ House Bill 25, which ended straight-ticket voting, was originally set to go into effect before the 2018 midterms; it passed the House with that language, and made it all the way to the Senate floor. 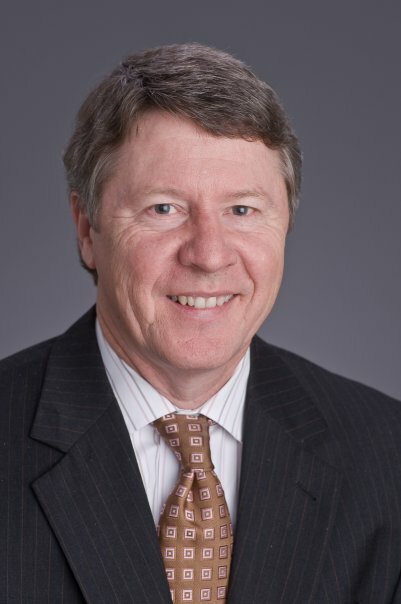 Just before the bill passed in the upper chamber, Republican state Sen. Kelly Hancock, of North Richland Hills, tacked on an amendment delaying the effective date to 2020. The delay, some local GOP officials said, particularly doomed down-ballot Republicans in or near urban areas like Houston, Dallas and Austin. No one predicted the consequences better than the lieutenant governor, who warned of such an outcome during campaign season. Emmett faulted the upper chamber, which Patrick leads, for failing to prevent that possibility. 1. Once again, I am old enough to remember the 2010 election, and how Republicans who voted straight ticket helped to sweep out a dozen or so Democratic State House members who had represented mostly rural areas, where the locals generally voted Republican but had continued to support Democrats in downballot races. I know that was, like, a hundred years ago, and I acknowledge that the Trib story acknowledged that Republicans have also been known to cast straight party votes, but seriously, enough with the whining. 2. To some extent, I feel like these stories are as much about Republicans trying, and failing, to come to grips with what happened. They’re not used to losing races like these, they’re certainly not used to losing races in counties like Denton and Williamson and Fort Bend, and they’re not used to sweating it out at the statewide level. It can’t be because of anything they did, and it can’t be because of Dear Leader Trump, so obviously it must be due to something they couldn’t control and wasn’t fair. Darn that Beto O’Rourke and his widespread appeal to voters across the spectrum! How dare he do this to us? 3. If you must take this complaint seriously, the logic behind it is that more Democrats would not have voted in these downballot races than Republicans if straight ticket voting were not an option. I have no idea where this notion comes from, other than an obvious disdain for people who vote Democratic from Republican officeholders, but I doubt there’s any actual political science behind it. (At least, I haven’t seen any actual political scientists claim that there is merit to the idea that Republicans will benefit from the elimination of straight ticket voting.) Well, there is the fact that a long ballot means that it will take longer for each person to vote if they can’t be one-and-done, and so maybe the lines at voting locations in Democratic (read: minority) neighborhoods will be even longer, thus discouraging more people from bothering. If we’re going to entertain this otherwise unsupported, and only implicitly stated, assumption, we should at least try to pin down what underpins it. Be that as it may, in the five statewide judicial races with both a D and an R, there were about 663K Democratic votes cast in Harris County and about 521K Republican votes. With there being 410K straight ticket Republican votes and 515K Democratic straight ticket votes, that means about 78% of each party’s voters picked the straight ticket option. Each party will have some work to do to get their people to understand the new world in 2020. 4. 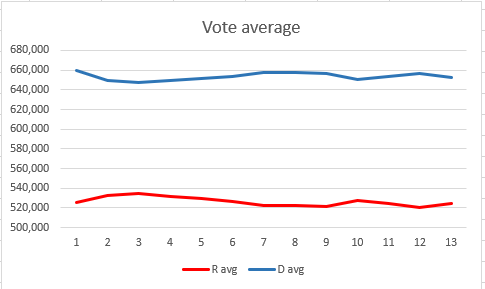 Going farther down the ballot, in the appeals court races the undervote rate ranged from about 31K to 33K, and in the district court races it ranged from 33K to 36K. About 292K voters overall in Harris County did not vote a straight ticket, so the actual undervote rate was in the 11-12% range. My guess is that in two years’ time, with education from the parties and with the recognition that some straight ticket voters all along would have clicked all the buttons if they needed to, the undervote rate will be less than ten percent, maybe more like eight percent. I’m just guessing, and I certainly could be wrong. We’ll know much more in another decade or so, after we’ve had a few of these under our belts. What I do know is that if Republicans think that the single greatest adversary they faced in 2018 was the straight ticket option, I believe they will be surprised and disappointed again in 2020. Judicial candidates are subject to strict campaign finance restrictions, making it difficult to get their names out across a state of 28 million. And they must walk a difficult line as they campaign, running as partisans without compromising their judicial impartiality. That means judicial candidates’ fates often rest with the top of the ticket — which is perhaps why no Democrat has been elected to the Texas Supreme Court or the Texas Court of Criminal Appeals since 1994. This year, five Democrats are vying for six seats on the state’s two high courts, which hear civil and criminal cases, respectively. These low-information, down-ballot races are rarely competitive, but this year, as El Paso Democrat Beto O’Rourke draws attention to the top of the ticket in an unusually tight campaign for U.S. Senate, Democrats hope their judges can ride his coattails to the state’s highest benches. Republicans, meanwhile, expect history to repeat itself. 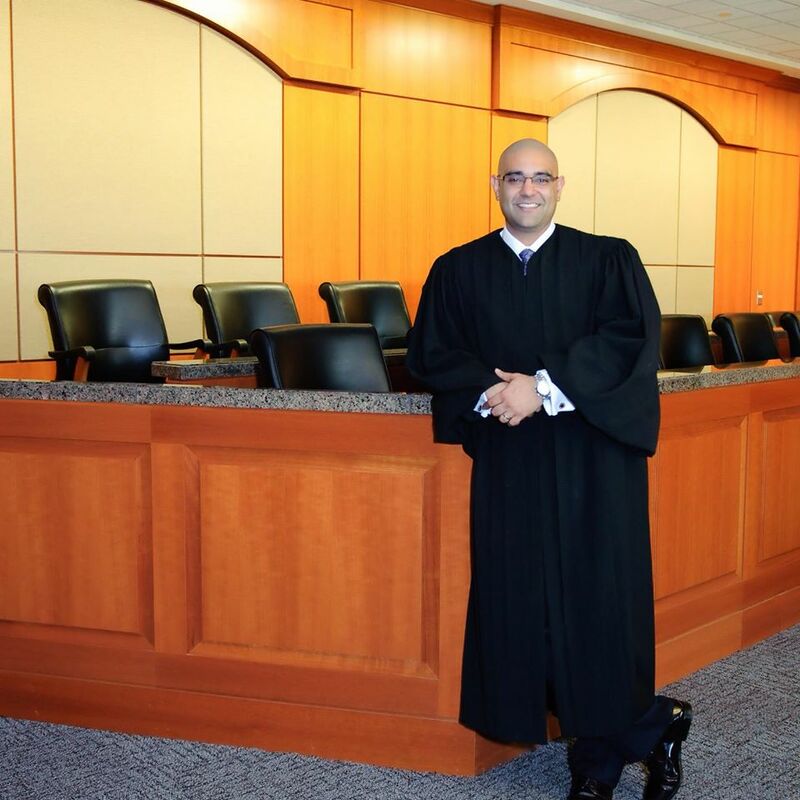 If anyone is poised to spoil that sweep, it’s R.K. Sandill, a long-serving Democratic district judge in Harris County who’s consistently outraised his opponent, Justice John Devine. In addition to an impressive cash-on-hand tally, an endorsement from the Houston Chronicle and victories in the Houston Bar Association and Texas Bar Association polls, Sandill faces perhaps the most controversial incumbent on the high court. Before being elected to the high court in 2012, Devine was sued for displaying the Ten Commandments in his courtroom. Devine has also boasted publicly that he was arrested 37 times protesting outside abortion clinics. But that history may not hurt Devine’s chances, Sandill said in an interview last week. That’s not entirely true – there’s always some variation in the vote totals for Supreme Court and CCA justices, just as there’s variation in the vote totals for District Court judges. In 2016, Eva Guzman got 4,884,441 votes while Paul Green received 4,758,334; among Democrats, Dori Contreras Garza picked up 3,608,634 votes while Mike Westergren got 3,378,163. Didn’t make any difference then, but if we’re sufficiently close to even it becomes a live possibility that one or two Dems win while the others lose. Beyond that, I covered some of this in my earlier post about Sharon Keller. I note that the Trib discusses the impending end of straight ticket voting, which could have a negative effect on Republican incumbent justices and possibly judges here in Harris County. I’m gonna wait and see what the data says over the next couple of cycles before I make any pronouncements on that. There’s a new slate of endorsements from the Chron up, all for Criminal District Court races. More Republicans, mostly incumbents, were endorsed than Dems, but in many cases it was close. Of interest to me was the first appearance of one-star candidates, reflecting the Chron’s new star rating system. One of the one star candidates is a Republican, and one is a Democratic, who was also the focus of a sidebar editorial about the perils of voting a straight ticket. There are two ways to look at this. One is as that editorial says, that as long as we elect judges via a partisan political process, we ought to take the time to at least know who the standout candidates are and do our best to elect and retain the best of them, regardless of the party label. The other is that the only way to change the Republican Party as it now stands is to give it an epic, all-encompassing beatdown at the polls, and if a cost of that is the loss of a couple of good judges, well, the needs of the many outweigh the needs of the few. I’m not going to suggest a path for you – you’re all a bunch of intelligent and discerning individuals – but this is the real choice as I see it. Whether you like it or not. The linked story looks at how this upcoming change, to go into effect in 2020, may affect judicial elections. Texas elects its judges, leaving the nearly anonymous people in charge of the third branch of state government in the hands of voters who have only the vaguest idea of who they are. It’s one of the built-in problems of running a big state. Ballots are long. Attention spans are short. Judges are almost as invisible as they are important — a critical part of government located a long way from the noisy and partisan front lines of civics and politics. The top of the ballot gets the attention. The bottom of the ballot gets leftovers. When a party’s candidates at the top of the ticket are doing well, it bodes well for that party’s candidates at the bottom — for the time being anyway. For at least one more election, Texans will be able to cast straight-party votes — choosing everybody on their party’s ticket without going race-by-race through sometimes long ballots. Texas lawmakers decided last year to get rid of the straight-ticket option starting in 2020. It’s a Republican Legislature and governor and straight-ticket Democrats in Dallas and Harris and other big counties have been making early retirees of Republican judges in recent elections. When straight-ticket voting comes to an end in Texas, judges will to win by figuring out how to drag their supporters to the bottom of long ballots. For now, they have to worry about how their fellow partisans are doing at the top of the ticket — and whether the big blue counties will spoil their chances. See here and here for thoughts I have expressed on this subject in the past. No question, turnout for downballot races – not just judicial, but for things like County Clerk and Railroad Commissioner and whatnot – will decrease when the one-button option disappears, though I expect both parties will put a lot of energy into convincing people to vote all the way down. I just want to point out that there’s already more variance than you might think in judicial race vote totals. We’ll see how much that increases in two years, assuming the Lege doesn’t undo itself next year. How else to describe a Bernie Sanders devotee who helped César Chávez organize grape boycotts in the 1970s, became a Unitarian Universalist pastor in the 1980s, ran a jazz club in Mexico in the 2000s and now uses his white-brick North Side home as a veterans hospice? Wakely, 62, kicks off his general-election campaign Saturday afternoon at Tilo Mexican Restaurant (two blocks from his campaign headquarters), marking the white-bearded activist’s graduation from a self-described role on the political fringes to a spot closer to the center of the arena. The only political office he ever sought prior to this year was a Wisconsin school board post he won 25 years ago. That probably would have been the end of his political career if not for the encouragement of Lucy Coffey, a World War II veteran who died last March in San Antonio at the age of 108. Coffey, the country’s oldest living female veteran at the time of her passing, befriended Wakely near the end of her life. One day, Smith visited Coffey at the hospice run by Wakely and his wife, Lety, a native of Guadalajara, Mexico. After Smith concluded his visit, Coffey realized who he was, and remembered that he had voted against a 2010 bill designed to provide billions of dollars for medical treatment to 9/11 first responders. Wakely decided to be that someone. His primary victory over businessman Tejas Vakil provides Wakely the honor of being political roadkill for Smith, who has been mowing down Democratic rivals since Donald Trump was on his first marriage. Over a span of 30 years, Smith has never won a general election by a margin of less than 25 percent. Right in the middle, literally the median Democrat. No obvious reason based on this to think he’d draw votes away from an opponent, but no reason to think he’d lose them, either. I admire his reason for running last year, and I look forward to hearing what he has to say for himself. One more point to add, and that’s to correct something in PDiddie’s post, where he refers to the new law to ban straight ticket voting, which was HB25. There may or may not be a lawsuit against this, but none of it matters for 2018 because the law won’t take effect before then. Here’s the key passage in the text of the bill: “As soon as practicable after September 1, 2020, the Secretary of state shall distribute electronically to each county election administrator and the county chair of each political party notice that straight ticket voting has been eliminated”. In other words, we will still be able to vote a straight ticket next year. Possibly for the last time, but we will get at least one more go-round. The Texas Senate gave initial approval Wednesday to legislation that would eliminate straight-ticket voting in all elections. By a vote of 20-10, senators passed House Bill 25 over objections from Democrats who warned of unintended consequences — including a disproportionate impact on minority voters. “Frankly, I don’t see any purpose for this legislation other than trying to dilute the vote of Democrats and, more specifically, minorities,” said state Sen. Royce West, D-Dallas. The bill’s supporters say it would force voters to make more informed decisions in individual elections. “What we’re doing is showing every race matters,” the Senate sponsor, Republican state Sen. Kelly Hancock of North Richland Hills, said Wednesday. The legislation’s backers also argue it would bring Texas in line with at least 40 other states that do not allow straight-ticket voting, the option for voters to automatically cast their ballot for every candidate from a single party. Straight-ticket ballots made up nearly 64 percent of total votes cast in the state’s 10 largest counties in 2016. The preliminary approval of HB 25 on Wednesday came after Hancock amended it to postpone its effective date from September 2017 to September 2020. That will allow candidates more time to prepare for the change, Hancock said. You know how I feel about this. I’ve got no more arguments to make. There’s been talk of a lawsuit, and I won’t be surprised if one gets filed. The Republicans could improve their position by addressing the issue of the longer lines that will result from the removal of this option – more money to counties to buy more voting machines for early and precinct voting locations would help a lot. I don’t they’re any more likely to do this than they were to mitigate the 2011 voter ID bill, but they have that option and they’ll have the 2019 legislative session in which to exercise it. We’ll see what they do. 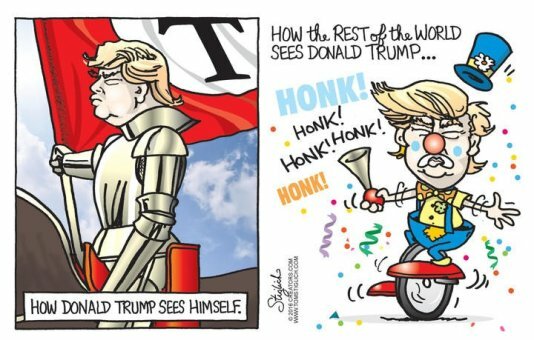 The Press has more. The Texas House late Friday night gave preliminary approval to a bill that would eliminate “one-punch” voting, forcing voters to make an individual decision on every ballot item, starting with the 2020 election. House Bill 25, approved 85-59, could drastically change Texas politics considering straight-ticket ballots accounted for almost 64 percent of total votes cast in the state’s 10 largest counties in 2016. Forty-one states don’t allow straight-ticket voting, according to the National Conference of State Legislatures. State Rep. Ron Simmons, R-Carrollton, one of the authors of HB 25, said he filed the measure to foster more educated voters since they’d have to go down the ballot and make a decision on every race. “I think it’ll give us better candidates and better elected officials. It won’t have people getting voted out just because of their party identity,” Simmons told The Texas Tribune on the House floor prior to Friday’s vote. Opponents of the measure said they’re worried Simmons’ bill will lead to lower voter turnout. On the House floor, several Democrats, including state Rep. Chris Turner, D-Grand Prairie, expressed concerns that getting rid of one-punch voting would inconvenience voters and discourage them from participating in future election. Simmons, however, said that equating a high number of straight-ticket voters to civic engagement is “kind of like comparing apples or oranges.” He pushed back on Democrats who insisted that taking away one-punch voting infringed on the rights of Texans. “People will still come out to vote, they’ll just take a few more seconds to get down the ballot. And it’ll make sure people know who they’re voting for,” he said. It will definitely take more than a few extra seconds to vote a full ballot, especially in a big county like Harris. Making such a disingenuous argument against the concerns being raised about this bill does not do anything to relieve suspicions that it’s just a response to Democratic dominance of the big urban counties. I wrote a long piece about this when Rep. Simmons filed the same bill in 2015. My feelings haven’t changed – indeed, they haven’t changed much since 2009 when the elimination of straight ticket voting first gained prominence as a Republican priority – so go read that so I don’t have to repeat myself again. I don’t think there’s any question that if this bill passes, it will take longer to vote, and given that only one Democrat voted for HB25 while only five or six Republicans voted against it, both parties have a pretty good guess about who will be more affected by that. Those concerns, along with talk of future lawsuits, were mentioned in the Chron story about this bill. It would be quite simple for Rep. Simmons to address those concerns if he wanted to. Extend and expand early voting, with more locations and longer hours and more days (*), mandate more voting machines at every polling place, and expand eligibility to vote by mail. Do that, and put up the money to help counties cover the extra costs, and I’ll drop all my objections. Until then, I question the motive behind this. Matt Angle of the Lone Star Project, writing in Medium, has more. (*) Republicans have also tried to limit early voting in the past, again after an election where Democrats did well. Limits on early voting were a part of the vote-suppression tactics in places like North Carolina as well. If Republicans don’t want bills like HB25 to be seen as an attack on the ability to vote, it’s on them to understand and address the concerns that these bills raise. Is the end near for straight-ticket voting? Partisan efficiency experts might love the time-saving charms of straight-ticket voting, but a number of the state’s top elected officials are ready to outlaw the practice. 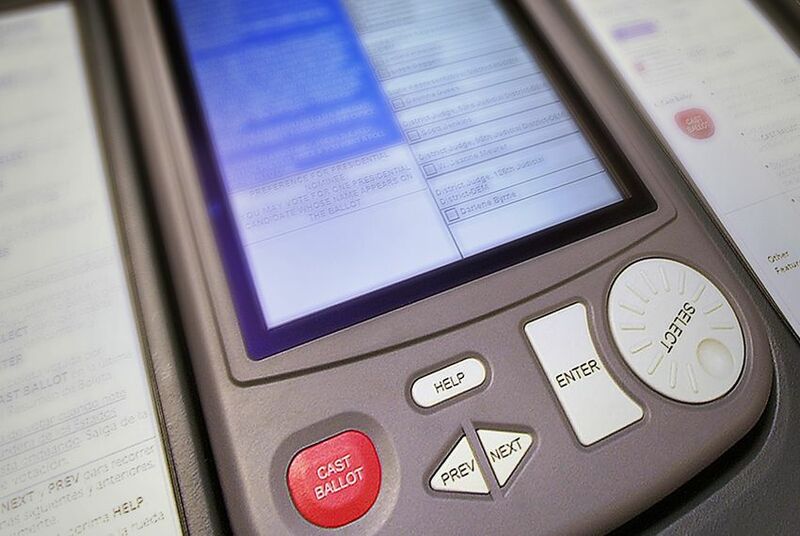 Straight-ticket, or one-punch, voting allows people to cast a ballot for all of one party’s candidates with one pull of the lever, stroke of the pencil or click of the voting button. Its requires partisan faith on the part of a voter, an expression of trust in a party’s primary voters, a conviction that the chosen candidates — no matter who they are, what they’ve done and whether they are qualified — are better than candidates offered by the opposition party. And it makes the coattails of the people at the top of the ballot very, very influential. 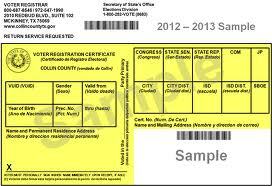 State Rep. Ron Simmons, R-Carrollton, has filed legislation — House Bill 433 —to end straight-ticket voting in Texas. He might have some angels: House Speaker Joe Straus and Lt. Gov. Dan Patrick have both sponsored bans in the past. Both remain critical of one-punch voting. The major political parties are reluctant to part with it, however — it’s part of the regulatory advantage that makes the Republicans and the Democrats appear to offer the only viable choices for Americans — or Texans — who want to take part in civic life. The two-party racket just about kills the possibility that you can find a candidate with whom you completely agree. Instead, you’re generally stuck with two options, left to choose the least undesirable candidate in a field of two. Libertarians and Greens and Teas and Occupies and who knows who else would love to elbow their way in, but this is a protectorate. One of the best arguments for straight-ticket voting is that there are too many people on the general election ballot, that too little is known about them and that the party label is the average voter’s most reliable guide to which candidate is more likely to agree with that voter’s political preferences. A strong argument against is that partisan coattails can be stronger than brains. Every election seems to end with an unintended consequence, often a good judge tossed aside because the political winds replaced one party’s flag with another — or a loon elected by voters who actually knew nothing about their candidate. Rep. Simmons filed the same bill in 2015, and what I wrote about it then still stands. Putting aside the fact that nobody had a problem with this until Democrats started winning judicial races in Dallas and Harris Counties, the arguments that Ross Ramsey puts forth just don’t make sense. You can vote straight ticket Libertarian or Green, you know, and if you can’t vote “Tea Party” it’s because no one is identified on the ballot as such because no official political party by that name exists. This past year was in many ways the best year ever for third party candidates, as they racked up big numbers in multiple statewide races, in particular for President and for Railroad Commissioner, despite the prevalence of straight party voting. Plenty of “loons” get elected in primaries and non-partisan elections (see, for instance, Dave Wilson getting elected to the HCC Board of Trustees in 2013). In what way does straight ticket voting make the difference? The one thing that will change if straight ticket voting is taken away is that it will take longer to vote. If I had any reason to believe that the people pushing this also intended to address that problem, by allocating some money for counties to buy extra voting machines or allowing longer early voting hours or broadening the class of people who can vote by mail, then I would have no strong objection to this. But they don’t, and I have no reason to see this as anything but another way to make voting a little harder and less pleasant for some people. As such, I continue to oppose these bills. “SP Lib” is the total number of straight party Libertarian votes, and “SP Green” is the same for the Greens. “Lib%” and “Green%” are the share of these straight party votes to all votes cast in the county. If you look at the election result pages on the HarrisVotes.com website, you will see that my percentages are lower than the ones shown there. That’s because they calculate the percentage of these votes as a share of all straight-party votes cast, not a share of all votes. I did it this way to see what if any trend there was for Libertarian and Green voting overall. 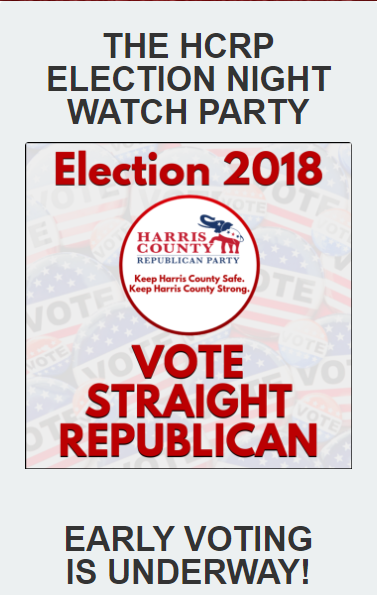 For comparison purposes, 30.01% of all votes in Harris county this year were straight ticket Republican, with 35.35% of all votes being straight-ticket Democratic. As you can see, in the Presidential years the Libertarians had been slowly ticking upwards, with a bit of a jump this year, though the trend is more erratic in the off years. The spike in 2006 is odd, because the Libertarian candidate for Governor received only 0.61% of the vote that year. If you wanted to vote outside the two-party box for Governor in 2006, you had plenty of choices. The Greens weren’t officially on the ballot in 2004, 2006, or 2008, so there’s less of a trend to spot. I’d say they do better in or right after a year where they have a Presidential candidate who gets some attention. Whether any of this will hold next year is not something I’m going to speculate about at this time. My mantra for the next twelve to eighteen months is “conditions in 2018 will be different than they were in 2014 and 2010”, and leave it at that. That brings me to my theory, which applies to low profile races – not President, not Senate, not Governor, sometimes not other races. I’m limiting myself to statewide contests here, since that’s where you get most of the third party candidates that an individual voter sees. In my case, there was a Green candidate for CD18, a Libertarian for SBOE, and nothing else below the state level. I believe that in these races, which this year would be the Railroad Commission and the two state courts, voters for third party candidates can be broadly sorted into one of three groups. The first group is the party faithful, which as we have just seen is a relatively small cohort. There are probably a few more people who vote L or G as a first choice but don’t vote straight ticket, but that’s still a small group even in the context of just third party voters. Most of the people voting third party in these races aren’t voting third party as a matter of course. So who are they? Group Two I believe is people who normally vote for Rs or Ds but who refuse to vote for their candidate in this particular instance. That may be because the candidate of their party is too/not sufficiently liberal/conservative for them, because that candidate supports or opposes a specific thing that is of great importance to them, because the candidate has ethical baggage, or because they just don’t like that candidate for some reason. In these cases, they don’t want to vote for the candidate of the other party, so a third party it is. Gary Johnson obviously got a lot of these votes in the Presidential race, but the downballot exemplar for this one was the Railroad Commissioner race, where Libertarian Mark Miller got a bunch of newspaper endorsements for being the most qualified candidate running. The thing is, I don’t think there are that many races like that. I think in a lot of these races, people just don’t know anything about any of the candidates. So if you’re someone who (say) generally votes Democratic but aren’t that committed to it and you’re looking at a race for the Court of Criminal Appeals, you may say to yourself “well, I know I don’t want to vote for the Republican, but I don’t know who any of these other people are, so I’ll just pick one and move on”. These people are my Group Three. What that says to me first of all is that both Republicans and Democrats are leaving some votes on the table in these downballot races by not doing a better job of getting their candidates’ names out there. That’s not much of a concern for the Republicans, who continue to win by double-digit margins, but it could eventually matter. I see this as an extension of a problem that Democrats are increasingly having in their primaries, where candidates like RRC nominee Grady Yarbrough have won races by a combination of pseudo-name recognition and random chance because no one knows who the hell these people are. I have many wishes for Texas Democrats going forward, and high on my list is for the party and the donor class to take these downballot primaries seriously. One possible exception to this may be for Latino candidates. Look at the top votegetters for each party: Supreme Court candidates Eva Guzman and Dori Contreras Garza. My hypothesis is that Latino voters in a Group Three situation will choose a Latino candidate, even possibly one from their non-preferred party, instead of just randomly picking someone. Again, this is in races where none of the candidates are known to the voters, and thus there could be a different outcome if people had more knowledge. If we ever get to that point, maybe we’ll see that difference. Finally, I believe my theory is consistent with the Libertarian candidate almost always doing better than the Green candidate does in these situations, for the simple reason that the Libertarian candidate appears on the ballot above the Green candidate. If it’s true that some people just pick a name after having moved past the first two candidates, then it makes sense that the first candidate listed after those two would get a larger share. Anyway, that’s my theory. I could be wrong, and I doubt anyone other than me had given this much thought. 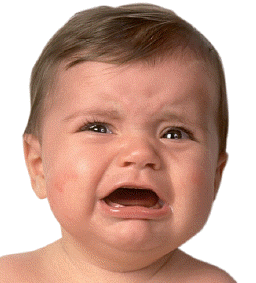 I’ll get back to the precinct analyses tomorrow. Let me know what you think about this.